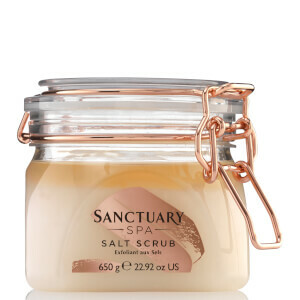 Pamper your skin with the Sanctuary Spa Classic Sugar Scrub; an award-winning at-home treatment dedicated to softening and nourishing from top to toe. 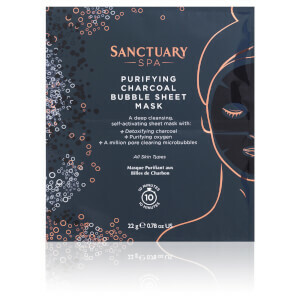 Infused with a host of beneficial ingredients, including thermal Zeolite and Kaolin Clay, the self-heating scrub warms on skin as you massage to help open pores and deliver a deeper cleanse. 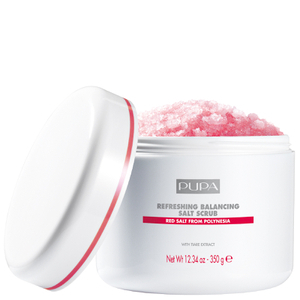 Ultra-fine Organic Sugar gently buffs away dead skin to reveal a smoother, more refined texture. 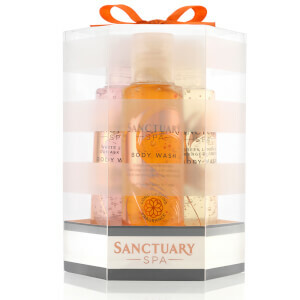 Fragranced with sensuous, floriental notes of Patchouli, Sandalwood and Jasmine. Massage into damp skin, enjoying the warming sensation and then rinse off. Do not use on face. PEG-8, Zeolite, Sucrose, Kaolin, Glycerin, Zinc Oxide, PEG-220, Parfum (Fragrance), Silica (Nano), Hexyl Cinnamal, Linalool, Limonene, Benzyl Salicylate, Benzyl Benzoate, Coumarin, Citral.